Managing Director Andrew Hart is a respected problem solver. For over 20 years, he has been helping public and large, privately held companies develop effective executive and employee compensation and benefit programs. Many of his clients are Fortune 1000 companies. More than 15 years of Andy’s professional experience has targeted work with financial institutions on the design and implementation of executive benefits and bank owned life insurance (BOLI) programs. 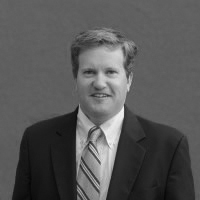 Began his career in 1992 with Schoenke & Associates, a Washington, DC area executive benefits firm. Capability to operate in an entirely unbundled and open architecture business model by working with the synergistic resources for funding and plan administration.